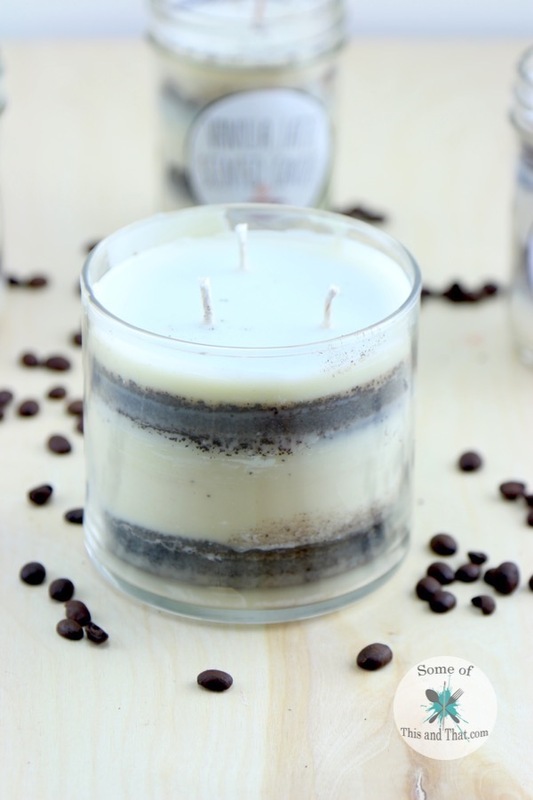 These DIY Vanilla Latte Candles smell AMAZING! They are also super easy to make, which is always a plus! Everything that you need to make them can be easily found at your local craft store, or online. I ordered a large 10 pound bag of candle wax, and after making 5 large candles, I still have half of the bag left! 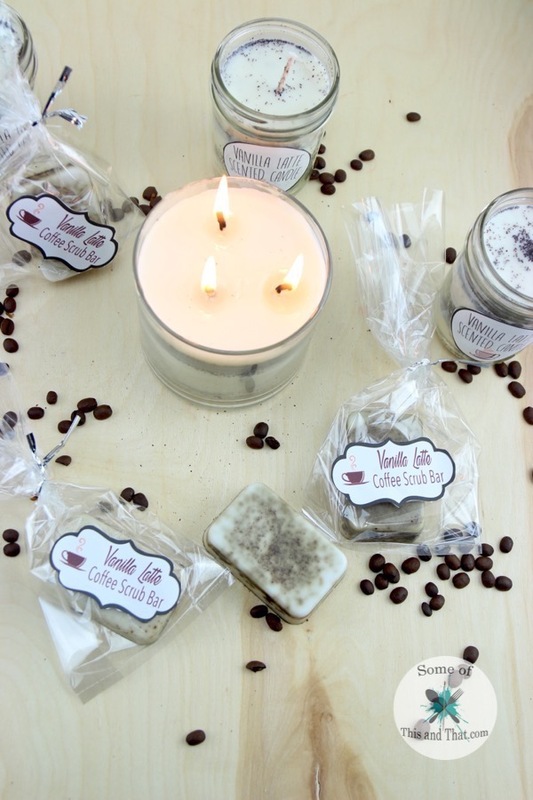 I wanted to do a theme for the gift bags this year, so we made 2 different coffee candles and a DIY Vanilla Latte Coffee Scrub Bar. And, to give them a nice little touch I created some cute printables that you can print off at home and attach to the candles! To grab the Free candle printable, check out the download button below! 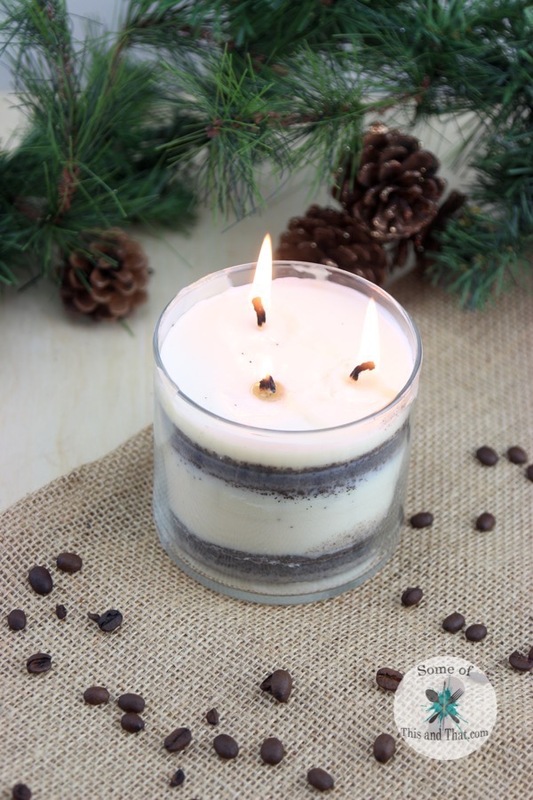 Check out the video below on how I made this candle and 2 other DIY coffee gifts! 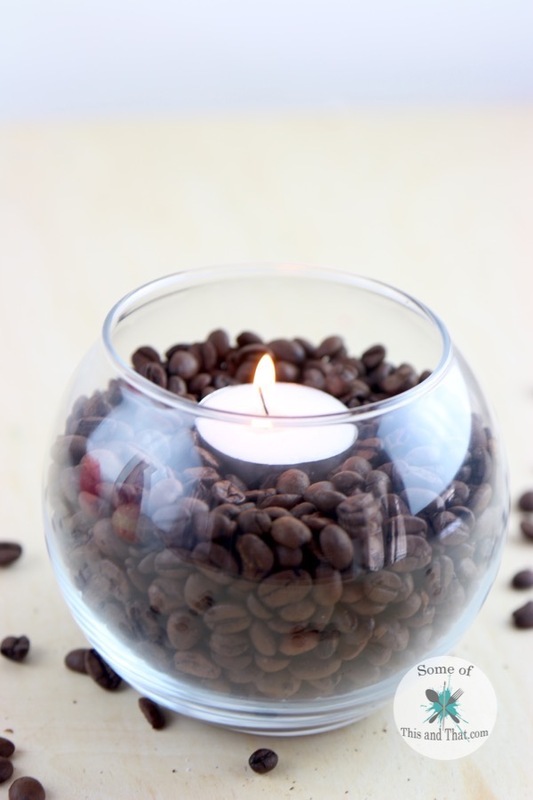 If dealing with candle wax seems like too much of a headache, these DIY Coffee Candles are super easy! 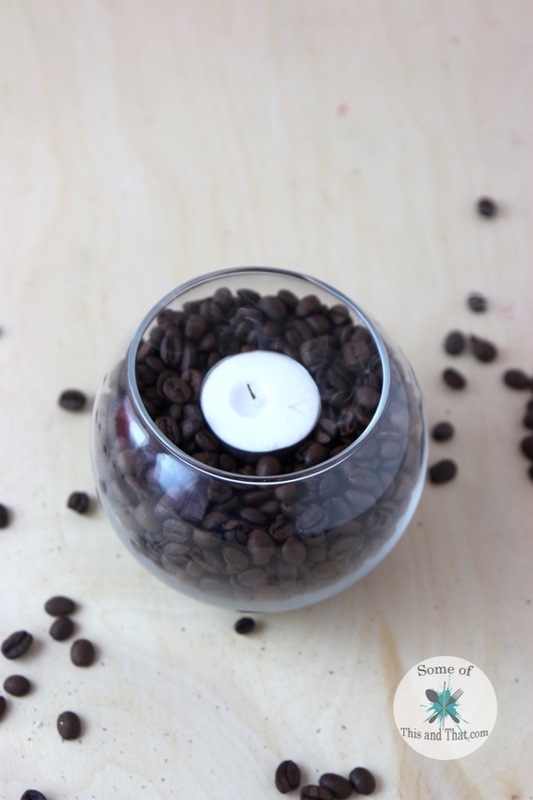 All you need is a container, coffee beans and some tea lights! 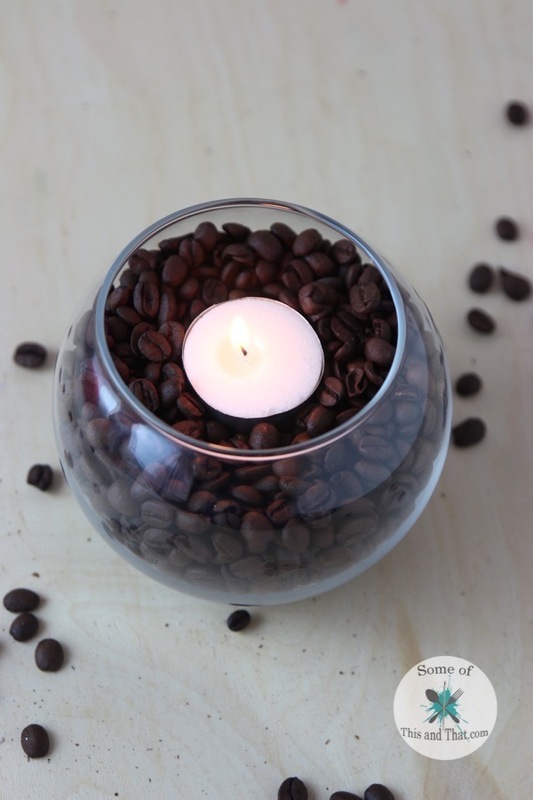 When the candle warms up, it heats the coffee beans, and makes your entire room smell like freshly roasted coffee. I used a vanilla bean coffee, so it smells so good! After I finished making these projects, my entire office smelled like coffee for a week… Which I do not mind at all! Do you love the smell of coffee? Or is is just me? Let me know in the comments below! Also, be sure to check us out on Pinterest for more fun DIY Gift ideas! Previous Post: « DIY Vanilla Latte Coffee Scrub Bars!